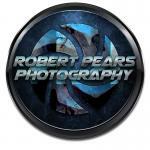 Welcome to Robert Pears Photography. We provide photographic commercial solutions for profit and non profit organizations. From stock photos we sell on Getty to creating advertisement video's for Facebook or YouTube, we can creatively help you reach your target audience effectively with your message. We also produce video tutorials to help you capture your own materials. Robert Pears has been involved in photography most of his life. His father was a photographer. He recalls being shown photo his father's family took of the British royal family when they would organize the royal fox hunt. Robert's early years were spent in Ireland, his second home. Today his family are an integral part of Robert Pears Photography. Together we have photographed hundreds of weddings, specialty events and created countless videos.